Hattitude started out life as one of the famed Hatterascal fleet. After Hatteras campaigned her in a couple tournaments and boat shows in 2004, she was outfitted and commissioned as a “show boat”. Hattitude has cruised and fished the Atlantic, including the Bahamas & Caribbean Islands, and now Woods & Associates Yacht Brokerage & Realty is proud to announce closing on this beautiful 60' Hatteras 2004! 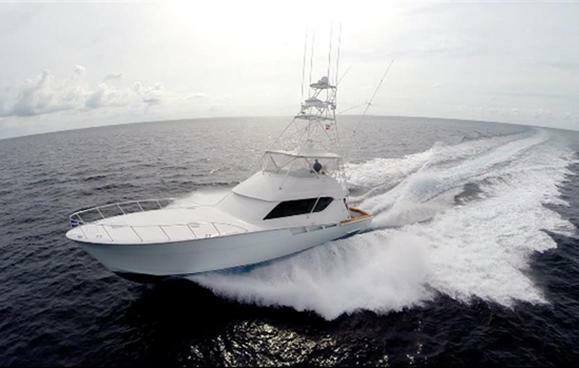 For more than 50 years, Hatteras Yachts has been a leader in production of sportfish and luxury yachts. Known for their on-going innovations to further improve the performance, craftsmanship, and design of these fine yachts. Visit our Hatteras Yachts Guide to learn more about this builder.